Middle school yearbook themes can be a real pain to nail down. As an advisor, it’s your job to strike a careful balance between childlike whimsy and the prospect of adolescence. Set foot in a 7th grade Social Studies class, and it’s pretty obvious: The growth spurts, the unpredictable (often downright odd) fads that sweep through the halls and then vanish into thin air (we’re looking at you, fidget spinners), the sheepish, brace-laden smiles. What a time! 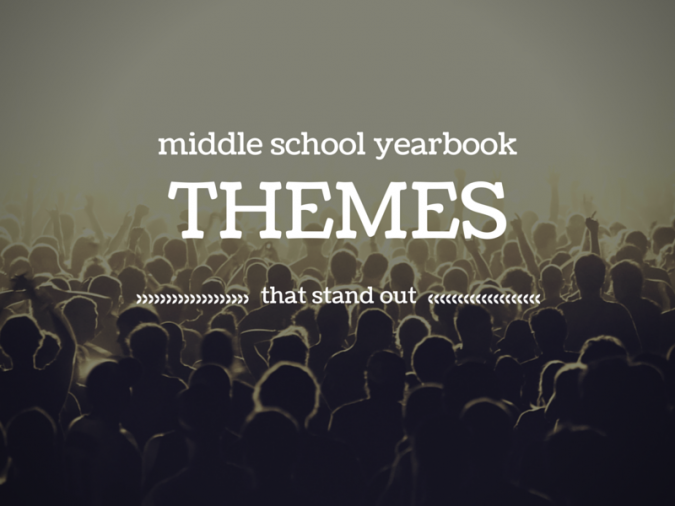 Picking a yearbook theme that works for your entire middle school, then, is a challenge. But there are a few ways to do it. 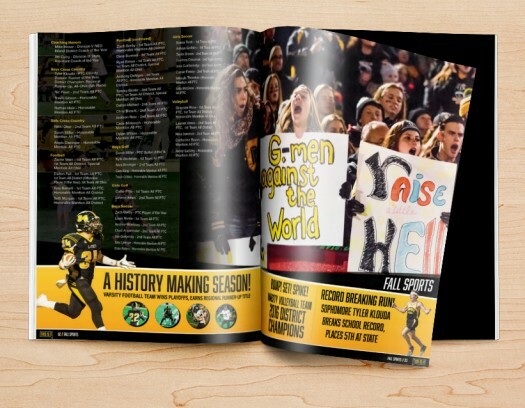 Read on, and we’ll walk you through a few middle school yearbook themes that will feel “just right” to your entire community. A nod to simplicity right out of the gate, the Bits theme marries streamer-like design elements in varying shades of blue with negative space to create a beautiful, striking pattern. 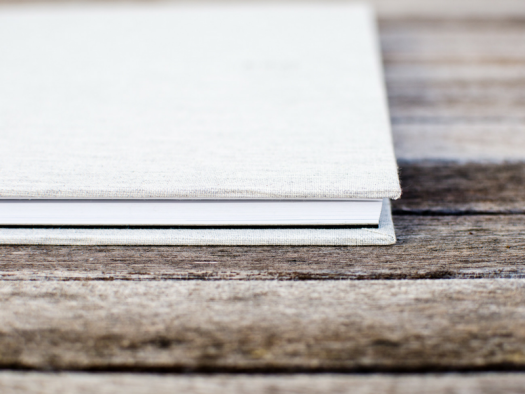 The exterior design elements, which extend onto the back cover as well, are perfect for implementing text at odd angles, adding a hint of complexity. And the best part? 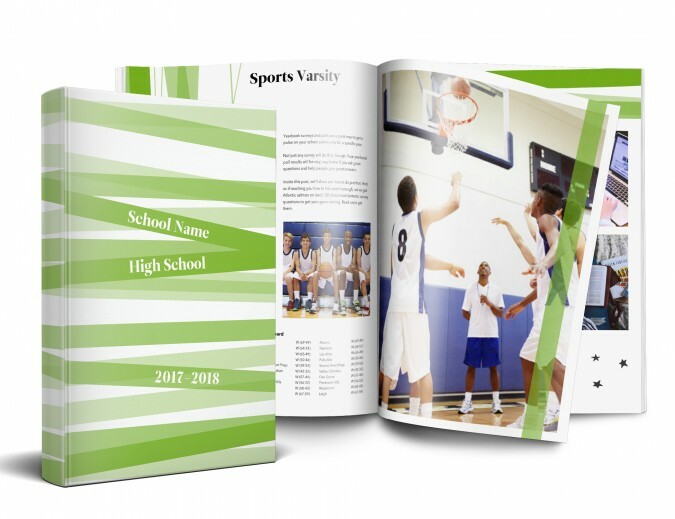 Those same design elements can be included throughout your page spreads, allowing you to modify your yearbook content in a measured, aesthetically pleasing fashion. You are to yearbooks what Georgia O’Keeffe was to watercolors: why not parallel that mutual greatness in your theme? Once again, the cover offers some excellent use of negative space which balances out the washed out background of the title and singular colored border. Inside, Georgia affords you a vast array of colors that can be used to highlight the various sections in your book. Georgia is the perfect theme for art-centric middle schools and sophisticates, for the student body that spends its time perfecting prose and painting portraiture instead of stuffing one another into lockers. The Ancient Egyptians had hieroglyphics. The common folk of yesteryear had “English.” Today, if students aren’t communicating with one another via Snapchat (we’ll come back to this in a moment), they’re probably using Emoji. And why not, right? There’s a character for everything under the sun. 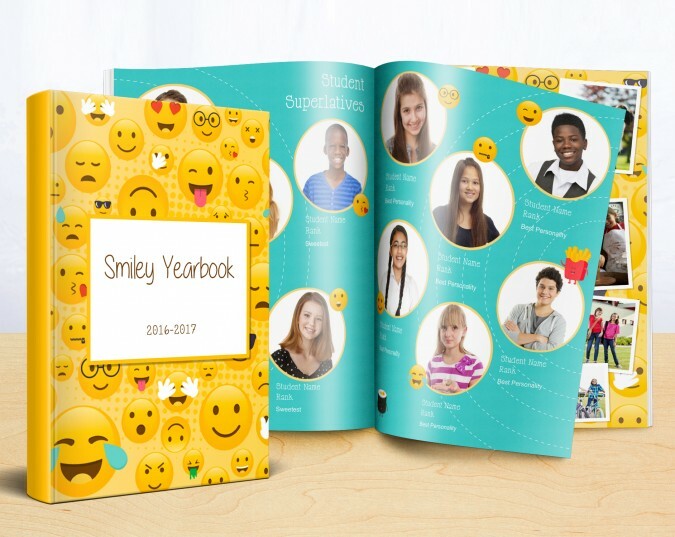 While the cover for our Smiley theme makes that abundantly clear, it’s the use of Emoji within the spreads themselves that really takes the cake; match emoticons to student superlatives kids’ll be cracking up left and right. Kids these days are basically born with their eyes and thumbs glued to an iPhone. Oh how times have changed. Flash pays homage to Snapchat, particularly in its cover design. At this point, the app is something of a cultural touchstone, particularly for pre-teens: why not use its familiarity as inspiration for your next yearbook theme? 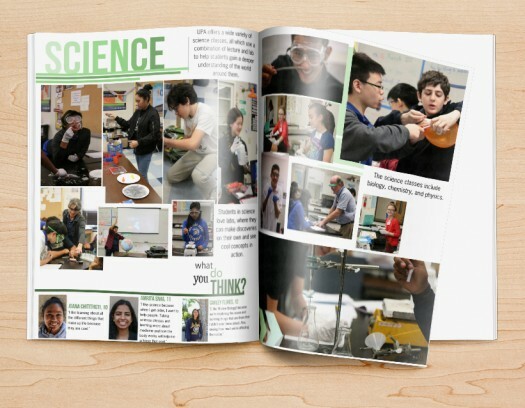 Inspired by an unlikely source (everyone’s favorite frog puppet), Kermit is a middle school yearbook theme that’s fresh and clean. While the cover’s monochromatic look might feel overly simplistic, the diagonal pattern on the inside gives this book some serious flare. Sure, we might be a little biased here, but it’s a classic look and has the trendy appeal of Pantone’s 2017 color of the year. 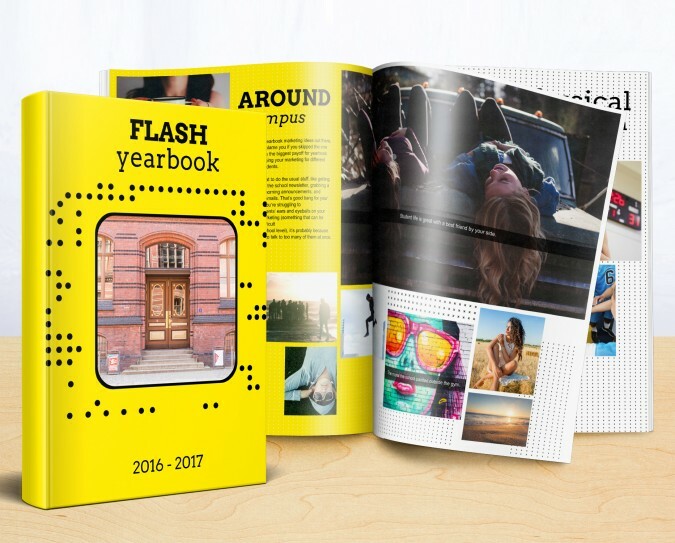 While the five middle school yearbook themes we’ve outlined above are great ideas for a lot of school communities, it’s possible they just didn’t stir your drink. That’s cool, too. 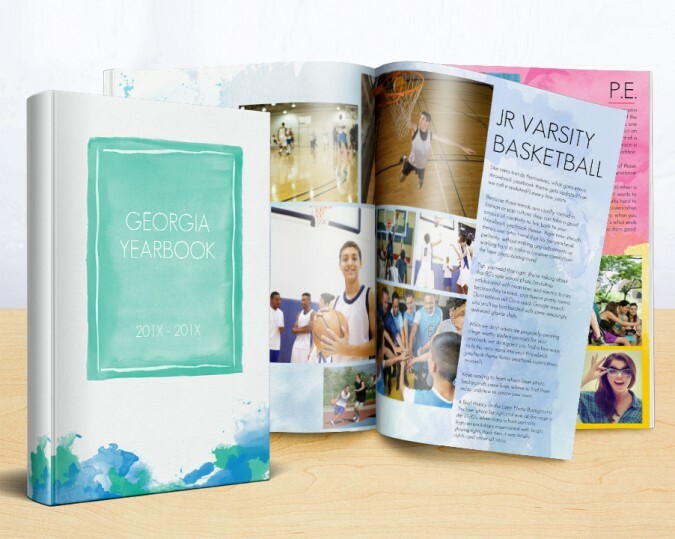 Just remember that good middle school yearbook themes bridge the gap between “trendy” and traditional, have a good pop of color, and skip the “juvenile” vibe without getting too serious. If you do that, you’ll be on your way to building a great yearbook that doesn’t feel awkward at all.